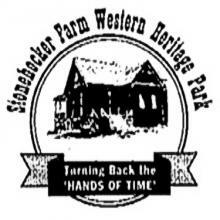 Have an Olde Fashion Christmas at the beautiful, historic Stonehocker Farmhouse. Enjoy holiday music as soon as you enter the door from local performers including Nancy Storm and the Northland Chorale. You can then browse affordable baked goods, gifts and stocking stuffers in the kitchen. Santa awaits upstairs to take photos with the kids. Afterward, they can pick out a free book to bring home. Contact Joyce Downing at 720.232.4402 or nhpf1999@aol.com.